Pick the Package that Piques your interest! If you’re just getting started with your digital marketing or rebranding your business to better fit your ideal audience, you can benefit from a targeted Voice & Branding Session. The convey package is perfect for businesses or individuals looking to have a consistent and authentic presence online for users and potential clients to connect and follow. The guide package is suited for those businesses looking to increase engagement across their platforms adding genuine followers and a specific voice dedicated to their brand and goals. The declare package is ideal for businesses and/or individuals looking to be seen as the expert in their respective fields. Big and Bold with consistent and creative content specific to their industry to draw in thought leaders and high-level followers through the sharing of content from multiple sources. The proclaim package covers everything from content creation to posting, monitoring and engaging across all platforms. Optimal for businesses or individuals looking for a heavy social media presence. Ideal for use in conjunction with special marketing endeavors, book launches, webinars and more! 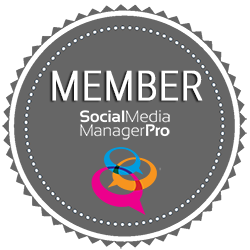 Book a Social Media Diagnostic Call! I would love to answer them for you!